this weekend i am headed home for some serious sista time, sans a few sistas. (we'll miss you, but truly you are the safe ones.) beware, i am bringing a handsome boy you will want to kiss all over and a bowlful of calories. your resolutions may be at risk. 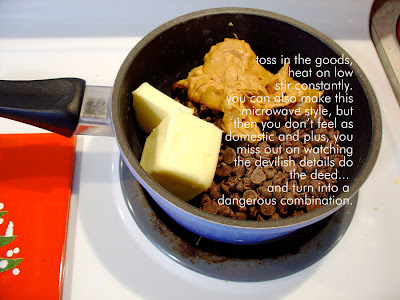 mmm... this truly is a dangerous delight to have around. You're so wise to bring it somewhere where it must be shared! 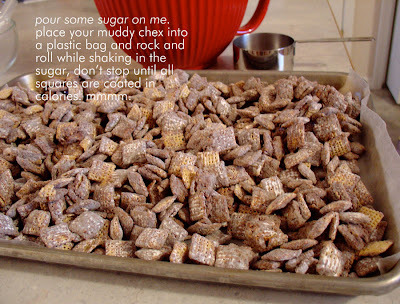 In high school, we made this and sold it as "Puppy Chow" to support German club. Thanks for spreading the deliciousness. I could eat an entire bowl of this in one sitting. SO yummy! 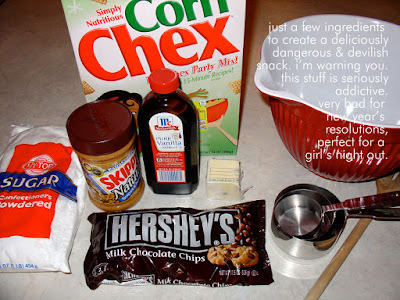 Oooooo.... we used to make this in the summers at the cabin. We also ended up calling it "Puppy Chow" because of how it looks but nothing could keep us from devouring the whole batch in no time. I can't have this around..... too good, can't stop!! Oooh, I love Puppy Chow! And I just bought a big box of Chex Mix at Costco. Think it might be time for a batch! Thanks Min, for the extra calories. I needed them so I could have the energy to stay up til 5 am! I had a blast with you and Benji, Heed and Oma. Your laughter was contagious, your ipod karaoke numbers were hilarious and your ideas were amazing! Take the makeup off, put the pjs on and I felt like I was back in time. Love ya! Awesome, delicious and addictive. Make some more. Buy darling cone bags, brown ribbon, and sell it at boutiques. 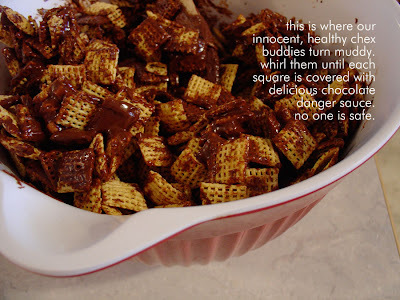 i L-o-V-e muddy buddies mix! Mmmmmm I just may have to make some of this myself. Oh Puppy Chow! 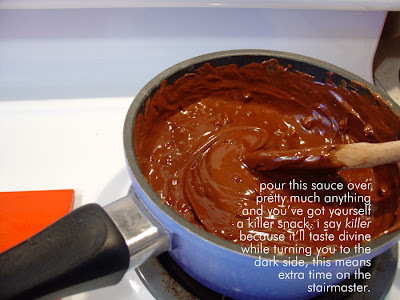 I still have wonderful memories of staying up until 3 am two days before my wedding to make huge batches of this for my wedding favors. To this day, my husband shudders when I even mention it!